The news is that iNew — a Chinese brand — has plans to launch its smartphones in competitive Pakistani market with-in next 8-10 days, we have checked with sources. According to details we have received so far, iNew will be launching its four Android devices in a single go with-in August 2015. Company has done all the homework, including getting a NOC from PTA and appointing a distributor in the country. We are told that these introductory iNew phones will be priced between Rs. 8,000 to Rs. 25,000 and will come with stock version of Android OS. According to a source who had a chance to experience iNew phones first hand said that build quality is going to be the most prominent feature of iNew phones. Specifications are also going to be better than what we have in market for the prices iNew devices will come with. iNew Pakistan in fact announced today that it has appointed Mobile Masters as the regional distributor for iNew smartphones and accessories in central Punjab. Keep watching this space for more details on iNew devices, prices and specification. iPhone key baad iNewPhone. Kia baat hai. They have been selling online all over the world. I think the products are very good, haven’t used them. No, Apple doesn’t care. If Apple went around suing random Chinese companies trying to copy it, Xiaomi would be the first in line. Xiaomi copies Apple so blatantly even its CEO dresses and acts like Steve Jobs! Also, Nokia manufactured an exact copy of iPad mini with Nokia N1 and didn’t get sued either. I see your IQ is less than the number of letters in “dress sense”, because it’s called attire, not freaking “dress sense”. But for the sake of argument, name one other CEO who dresses similarly AND whose company blatantly rips off Apple. Take your time, get back to me in an year or two. It’s funny how you think intelligence has something to do with vocabulary. One quick google search can prove you’ve the wits of a five year old. According to your statement, just because he dress like Steve Jobs, it is hence proved that his company copies Apple. You sir, are an idiot. N1 is nowhere copy of ipad. I used both of them and look technical specifications. 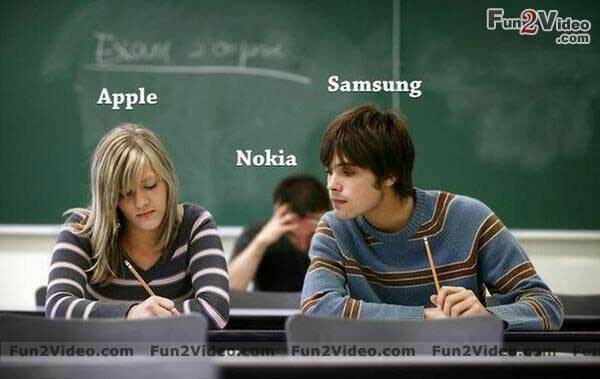 nothing has been copied and about Nokia, they failed themselves but never copy anyone neither any European company will do that. Apple only file cases on Samsung. :/ Is’nt it “khula tazaad”? Xiaomi is partnering with Uber to help deliver phones in Singapore and Malaysia. elefone and ulefone must be sold in pakistan. now .. its only up to the squat-eyed asians to make sure they come here ASAP and take us by storm! Daraz wala sirf apne brand kay phone hi bechta hai. I want xiaomi or meizu. Panasonic has disappeared world over…… Just not that big name anymore. TCL is fantastic man ! wat are u talking about ? I was talking of alcatel…I have alcatel…it isn’t good …. TCL is a sub brand of alcatel..
yeah soorry .. my bad ! but why ON EARTH dont u guys have newer and cheaper chinese phones ? Panasonic and Alcatel are not coming to Pakistan anymore. Check the market for latest update. However another Chinese company might come in the next 3 months. how are u so sure ???? I LOVE TCL … they have the best prices ! how did u know TCL is not coming to pakistan ??? please be true … tell me your sources … I REALLY WANT TCL PHONES ! TCL kay phone achay thay china mei , mujh to yeh nahe pata yahan bhi achay phone models sasti qeemat mer muaesar hon gai ya nahe. why dont u buy online on amazon? amazon … in pakistan ?! in a 100 years maybe …. llol so pakistan isn’t business friendly? u people dont shop online? Pakistan is not a “not business friendly” place … but people (read govt) is sooo pathetic , they cant give us basic standard of care and welfare … , so how do you expect sophisticated business and tech facilities to be provided to us ? Internet services are gud…and startups and freelancing is growing rapidly here too…we have some good e-commerce store…but they are not as good as amazon, flipkart…..
xiaomi sirf online sell kerta hai.haan ye hai k pakistan main koi online store nahi jo official partner ho. the real problem is xiaomi accessories is that there are so many fake ones. even they have serial number and you can always check online but when you buy from internet it is hard to tell original from fake. I have xiaomi note 3g bought from China. I dont like its miui but at least they have updated it from jelly beans to kit kat. Pakistan mein itna ziada tax/customs jo hai everyone wants UAE smuggled phone. well we should all tweet to xiaomi to come to Pakistan or write on their fb pg. well we should all tweet to xiaomi to come to Pakistan or write on their facebook page. well we should all tweet to xiaomi to come to Pakistan or write on their fb page. They have good smart-phones.Will keep an eye on them for my future smart-phone purchase. One plus should sale their phones like others :( everyone cannot purchase and follow that online peocedure. if only the godamned customs werent so greedy and bribe hungry ! Nahi kahein ge bhai tum q predictions ker rhe ho? One plus phone ideal phones hain. I think samsung se zyada ache. what about newer phones ? with 64 bit? BUT they need to arrive here first -_- ! i know … but if the use the NEW 64 bit mtk processors , then the PUMP express tech which can charge phones real FAST ! when are all the OTHER brands coming ? i believe i should have explained this to you before .. Copying isn’t a crime, copying blatantly with unimpressive hardware is a crime! and the latter is a crime which is punished pretty awesomely too! It had made sense if they had launched xiaomi or meizu in Pakistan. No one knows iNew in China. shipping charges ? Credit card hidden charges ? Indians have it all at home … we don’t , see the difference bro … its like a gazillion meters wide , how’d u miss it ? hidden charges hain sab kuch hai lekin card bhi to dete hain bank walay. un kay kisi politician ki koi pakistan mein industry nahe hai na. wooh apney mulq se wafadari karte hain. chinese brands would definitly go to India…cuz they have a big market of abt 1.252 billion….so they are not so keen on coming to Pakistan….Oppo started selling phones in Pakistan…but their phones are so expensive..
expensive phones will sell if u have reputation like samsung/iPhone…people say if u r gonna buy phone this expensive….why not buy from samsung or ay other brand? its camera has 6 lens stack , BLue IR filter and OIS ! I ordered this phone online through Aliexpress.com as a second phone. Its an absolute joy using it. Good built quality and overall user experience.